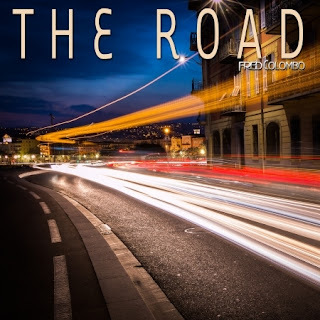 Fred Colombo latest release is his The Road EP. Looking over the notes to Fred Colombo you think you're going to listen to some heavy metal music due to his previous work, but he has chose to do something completely different. Far from being music you step-down into the mosh pit you step into a room full of disco light balls and laser lights with smoke breaking-up the different colours and making them soft to suit the electronic pop with ever so slight raw elements that come through. The Road EP is a twister because it takes you on a journey with some pretty dark lyrics and themes of trying to make sense of hopeless situations and trying, or rather hoping to survive and live somewhat a better existence. The notion of not being able to kill yourself but is more comfortable in allowing someone else to do the dirty deeds is pretty heavy going. But on the flip-side the music is colourful, bright and easily consumable, which twists your mind into enjoying these songs.